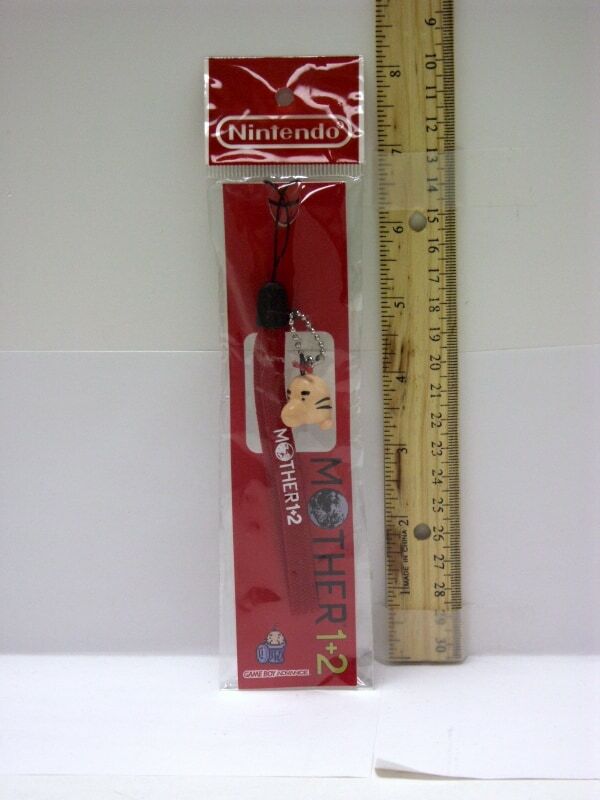 By some coincidence a couple cool and rare-ish MOTHER 1+2 merchandise is available from a couple different people. First up is a Bubble Monkey keychain on eBay. These keychains are rather rare now and I’ve seen the Bubble Monkey one in particular sell for $53 just a month or two ago. So if you’re a collector, keep your eye on this one! 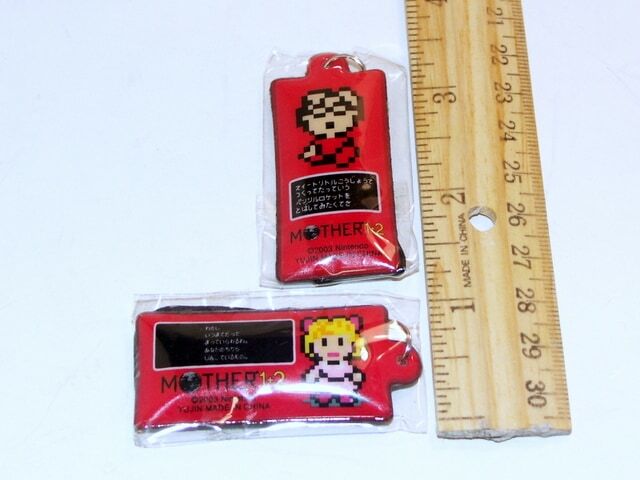 Next are MOTHER 1+2 screen cleaners – these are rarer than the keychains and trying to collect a full set can prove difficult or expensive. So this is a good chance to get your hands on some! If you’re interested, see here – Nightram is selling his for $20 each, a really good deal! He also has a MOTHER 1+2 Mr. Saturn strap too. These were preorder bonuses, so they’re the least rare of this bunch. He’s asking $65 for this one, although according to my own records they average about $30-$40 new on eBay. Again, if you’re interested, see here. Ooh, I hope he sells me the Paula phone strap! I’m collecting those but only have five so far. Yeah, but is that an EarthBound ruler? I just found one screen cleaner of Poo on eBay.